RubyEncoder Teams up with Japanese Company, Soft Agency. RubyEncoder are proud to announce that we have teamed up with Soft Agency, a specialist software reseller in Japan. Soft Agency are specialists in the resale of software in the Japanese market, having had much success across a range of software solutions. RubyEncoder has recently joined forces with Soft Agency in the hope to expand further into the Japanese market. A further exciting outcome of this new partnership is the first RubyEncoder website to be translated into another language for a local audience. 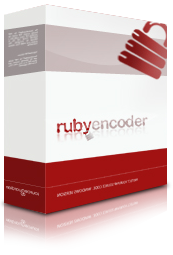 To see the Japanses version of RubyEncoder, visit www.rubyencoder.jp. To find out more about Soft Agency, and what they can offer Japanese customers looking to purchase RubyEncoder, visit www.softagency.co.jp.